I've always been ghetto with luggage, using whatever hand-me-down suitcases or cheapo swap meet bags I could find. Now that I'm an adult *ahem* maybe I should step up my travel style. This HAERFEST bag makes me want to shirk all my responsibilities and take a trip somewhere. Even just an overnight one. HALP! I checked their website, beautiful stuff. But honestly, wheeled luggage is the sane way to go, esp. if you're one to check, that stuff literally gets chucked around. 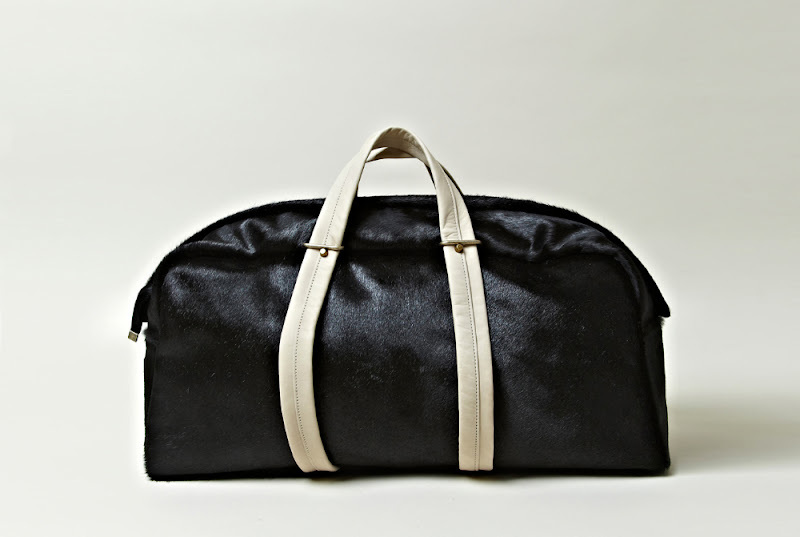 Beautiful luggage is best left for car trips or private jets. I really want to go on a trip as well!!! you could also snuggle with it!